London is an amazing city for culture and architecture and many of the top attractions to visit are free! Here are a few of the Travel Guide Blog favourites. Dedicated to human history and culture, the British Museum houses a vast array of world art and artefacts collections. Located in the Bloomsbury area of London, the museum is free to enter. Open daily from 10am – 5.30pm (late opening until 8:30pm on Fridays). Special exhibits do require a fee, or are free to members. Address: Great Russell Street, London. WC1B 3DG. Catch a ride on one of the 32 capsules and be mesmerised by stunning London views. With the ability to view over 50 of London’s most famous landmarks, the 30 minute ride on the London Eye is a true breathtaking experience. Tickets are available online and are slightly cheaper than simply turning up to the ride. Online standard tickets are £19.35 (Adult) and £13.95(child aged 4-15 years). Children under the age of 4 are free. Family tickets and fast track tickets are also available, alongside private capsules for that special occasion. 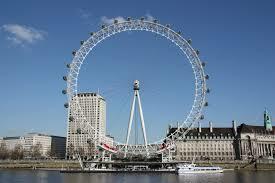 Address: South Bank of the River Thames, opposite the Houses of Parliament. With collections spanning 5,000 years, the free to enter museum, more commonly referred to as the V&A, is the largest in the world to house decorative art and design. Exhibiting over 4.5 million objects permanently, with 145 galleries spread out over 12.5 acres, expect to while away the hours whilst perusing all the exhibits. Special exhibits do require a fee. Open daily from 10am – 5:45pm (late opening until 10pm on Fridays). The Natural History Museum is home to life and earth science specimens, featuring over 80 million items, including the permanent and ever popular Dinosaur skeleton collection. Alongside featuring many amazing collections, the museum is also a leading science research centre. New to the museum for 2015 is the first complete dinosaur specimen to go on display at the Natural History Museum in nearly 100 years. The 150 million year old Stegosaurus stenops is the most significant dinosaur the Museum has acquired since the 1980’s and the only Stegosaurus in a public collection outside the USA. It takes pride of place inside the Museum’s Exhibition Road entrance. Entry to the museum is free, some exhibits do require a fee. Open daily from 10am to 5:50pm. Address: Cromwell Road, London. SW7 5BD. Located on the banks of the River Thames, the Tate Modern is Britain’s national museum of International modern and contemporary art, ranging from 1900 to the present day. The museum has a very distinctive shape due to it previously being a power station. Entry to the Tate Modern is free, a charge is required for special exhibits. Open daily from 10am to 6pm (late opening until 10pm on Fridays and Saturdays). Address: Bankside, London. SE1 9TG.